Here is an interesting situation to consider. I was talking to my friend who is an owner of a small business about card processing. My friend is a little over a year into his new venture building drum cages to help the acoustics in Churches during their musical performances. Since it is a highly specialized and new business, he is selling about 2-3 of these things each month at a cost of $500-$1500 each. He explained that he typically runs one credit card transaction a month. He was expecting me to sell him on every benefit of processing with me rather than the Square, but I’m not the right thing for his business right now. 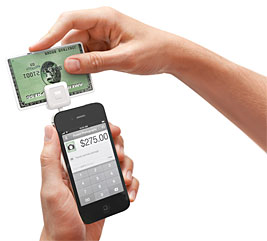 Square is good for merchants running very low volume. The problem is they charge a flat rate of 2.75% for each card transaction, and that’s a high rate. There are no other fees, like a monthly $9.95 basic service fee, and that’s good because some months he doesn’t process any cards. When his business grows a little more and he accepts more cards that 2.75% becomes really expensive. Much more expensive then using me, even after basic fees are included. Being a savvy merchant is all about knowing when Square is more expensive, and less efficient, then using me. When my friend’s business card volume exceeds about $2,000 to $2,500 per month, that’s the tipping point where the 2.75% starts working against him. It’s also the time that a one size fits all Square account doesn’t make sense anymore. We can tailor a program to fit exactly how he wants it to work and offer products that drive more business to him.